According to reports from Korea, LG Display intends to produce OLED displays to used in professional broadcast-type monitors in 2016. These are probably medium to large sized displays (10" to 30") and these kinds of applications carry a high margin. The reports further say that Samsung Display is also considering entering this market. 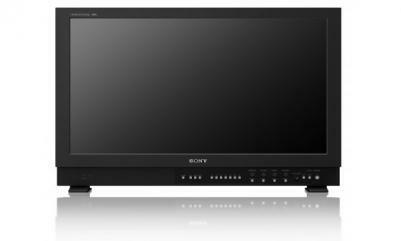 Sony currently offers several professional monitors in several sizes (from 7.4" to 30") and in several series. Sony's OLED monitors provide a superior image quality compared to LCDs, and the cost difference is not so large because in these premium products the cost of the panel itself is a small portion of the total product cost. Sony already sold over 15,000 professional OLED monitors, and their latest monitor is the 30" 4K BVM-X300. Sony's OLED monitor success may be what's motivating LG and Samsung to enter this market. It may also be that LG Displays sees this market as a way to enter the consumer high-end monitor and laptop market with their OLED panels. I'm sure many people will be willing to pay a premium for high-end OLED monitors, although there are some issues with OLED technology (for example burn-in) in these applications. LG Display is currently only producing large OLED panels (55" and larger) and small flexible displays. It'll be interesting to see if they will start making small sized panels for monitors, or will they go after the large professional OLED monitor market only. Samsung display demonstrated a new 14" AMOLED display last year, maybe this indicates their interest in the monitor market. This time, they are going to eat up Sony's marketshare.